Erin Blegen: My Scrap Cabin: NEW Ingvild Bolme Shabby Chic Metals from Prima! 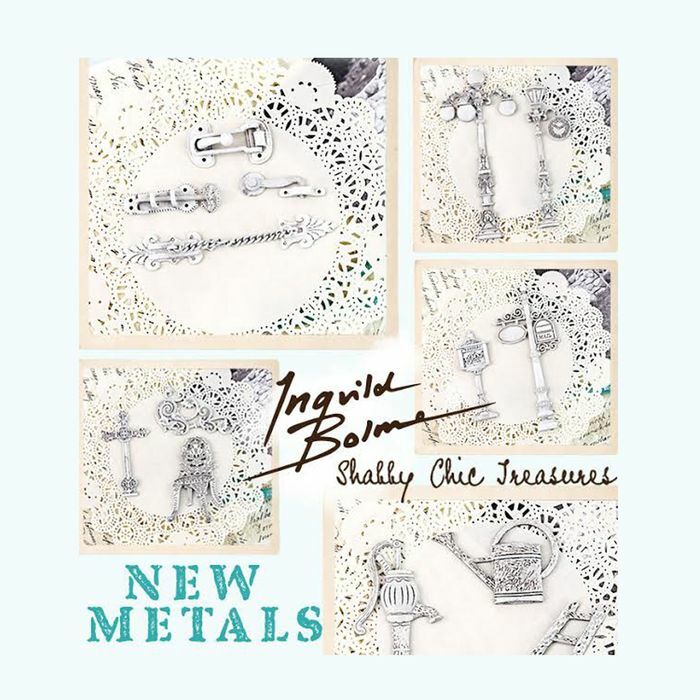 Have you seen the new Ingvild Bolme Shabby Chic Metals from Prima yet? Prima made the full, big reveal earlier this week- and you are just going to be in love! Such intricate pieces with moveable parts...amazing. Truly, not a detail was spared in these pieces! This is a nature-inspired canvas that I created, featuring a couple of these new pieces. This shabby metal latch has three different parts to it, complete with a functioning sliding bolt. If you love fine details, you will be truly pleased with these! This vintage water pump reminds me of one that I have in my own garden. I wanted to give it an aged appeal, and there's just so much texture on the surface that coloring and altering truly has no limits! Check out the blog for more- including Ingvild's new stamp-n-add set and resins!! The new metals are absolutely stunning and you've done an amazing job using them! Such a gorgeous piece of art! Beautiful canvas, Erin! Love those metals. Just beautiful! Loooove this canvas & those new goodies....delish! Especially the bolt....might have to make a dash down to the hardware store, eh???!!!!!!!!!!!!!! Totally gorgeous - what cool metals! Love these and can't wait to find some! Nice Blog! In this blog you discuss a various types of cards for several occasions.